We were very proud to support the EK Dementia Carers group’s (based at Pine Crescent in Greenhills) Christmas Party again this year at the Inn on the Stroud, which was attended by almost 70 people. 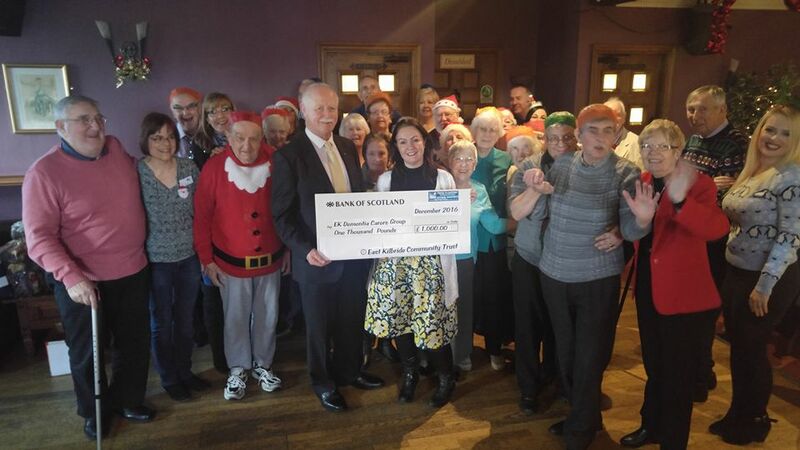 Our Chief Executive Monique McAdams presented their Chairman Archie Buchannan with a cheque for £1000 to fund the party. The food was exceptional as always as was the service. The entertainment was Kindred Spirit (the two Brian’s) who were both fantastic.